Appropriately named, this toy features stacks of brightly colored wooden pieces that will have your bird in a chewing frenzy. 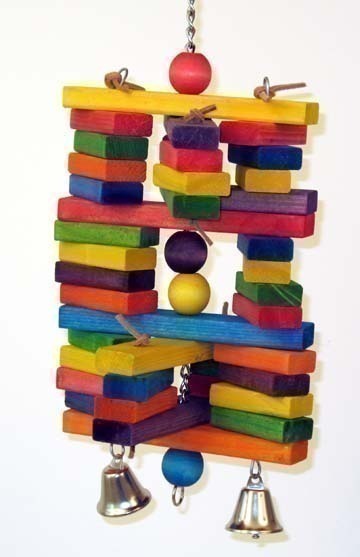 Your bird will chew, climb, hang, perch and play all day with this new favorite toy. Dimensions (LxWxH): 19.00 x 8.00 x 0.00 in. Notify me when XL Woodpile-Super Bird is in stock.